In a free, public seminar, Lauren Cornell, curator of the 2015 Triennial, Museum as Hub and Digital Projects at the New Museum in New York City, will speak about her recent and upcoming projects. Lauren Cornell has worked as a full-time curator at the New Musuem since 2012. 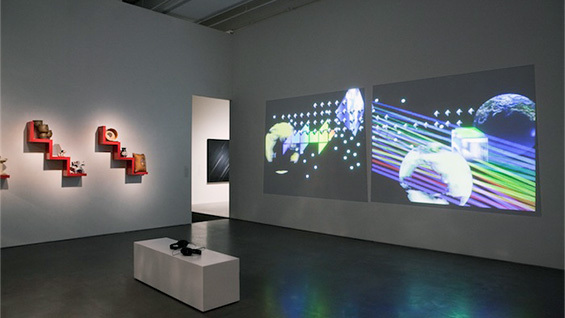 From 2005-2012, she served as executive director of Rhizome and adjunct curator at the New Museum, where she has organized exhibitions including Walking Drifting Dragging, Free, and served as part of the curatorial team for the inaugural Triennial in 2009, with Massimiliano Gioni and Laura Hoptman. At the New Museum, Cornell has also produced performance and live events with dozens of artists including Xavier Cha, Jill Magid, Trevor Paglen, and, in 2010, she founded the annual conference Seven on Seven. From 2002-2004, she served as executive director of Ocularis, a former microcinema in Brooklyn. She is co-editor, with Ed Halter, of the forthcoming book Mass Effect: Art and the Internet in the 21st Century (MIT Press/ New Museum, 2015), and has contributed to publications including Frieze, Mousse, LTTR, North Drive Press and The Paris Review. Since 2013, she has been on the faculty at Bard Center for Curatorial Studies. Lauren Cornell appears as part of the Interdisciplinary Seminar, created as a discussion series on artistic practice for the students of the Cooper Union School of Art and the creative community that surrounds them. Lectures are free and open to the public.